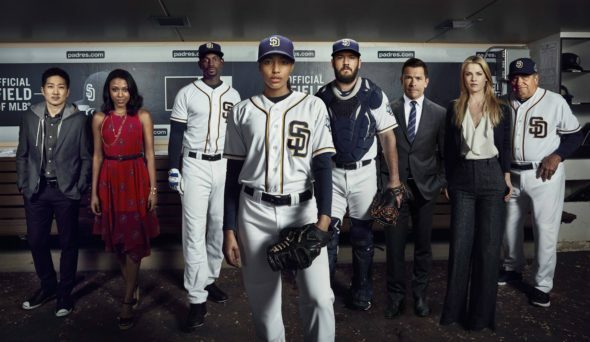 Pitch is a well written show with likable characters. Please renew. my daughter and i absolutely loved this show! PLEASE BRING IT BACK! Do a second season! This show is great! Pitch was one of my favorite TV shows. Great characters and cast. Brought a new perspective of the game and what a woman player is up against. Liked to see what an older player goes through and the whole trading deal. Keep it real…And please bring it back! Awe this is sad news…we were looking forward for tonight show (Thursday) after the Christmas break episode. My family and I loved watching Pitch. It was a great drama series for everyone. Please find a new network we would love more! I’ve been so impressed by the series and have been anxiously awaiting some new episodes. Please give the show a chance! It’s a different take on women in sports! As a former minor league pitcher myself I find it very realistic to what I think a woman who is also black and very pretty would have to deal with to get to the the big show and then survive there. Professional sports seems glamorous but it is dogbeat dog. Really enjoy this series. Will be extremely disappointed if there isn’t a second season. Me too it really has made TV exciting to watch.. I just love this show!! Absolutely my new favorite show. I am really hooked on this show. I binge watched it in 3 days. Even squeezed an episode in on my lunch break! Great cast of characters; engaging story telling; and I enjoy the fast pace. I really need a Season 2. Don’t leave me hanging! Outstanding series with amazing cast and storylines…I am so hoping for a second season! Definitely want to see more of a Pitch. Great series with a terrific premise. Show is perfectly cast. Love all the characters. I always feel like I’m watching a real MLB team.